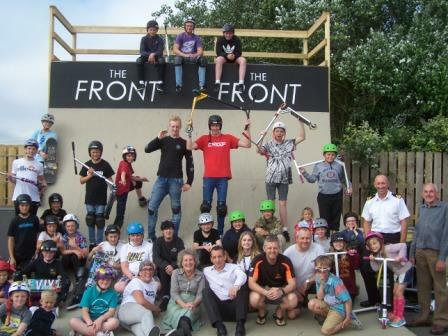 Some of the committee went to the Front Skate Park Weymouth to view the newly build ramp built with some of monies our supporters raised last year. What an amazing structure, something I wouldn’t like to try and skate up or down!! We were told that this one was for the more experienced and that they are now needing to raise monies to re build some of the smaller ramps. Help us to help them by taking part in our main fundraising event Challenge 2016 full/half marathon walk or run. See info and entry form on this site.